America's best selling gelato, and ice cream will never be the same. Talenti's gelato is made with fresh milk and only pure cane sugar. Not only is it delicious, but with 30% less fat than regular ice cream, it’s also a healthier alternative. Talenti's sorbetto is dairy free and 100% fat free and also made with pure cane sugar—never high-fructose corn syrup. Both Talenti’s sorbettos and gelatos showcase their commitment to providing wholesome, all-natural, frozen desserts that taste amazing. 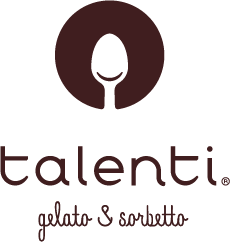 Click here to learn more about Talenti.